Amanruya translates from Sanskrit to Turkish to mean ‘peaceful dream’, and that is truly what this resort feels like. Gorgeous cottages dotted amongst olive groves, private pools overlooking tranquil waters below and everything you could wish for in a hotel, there’s nothing not to like. Just be prepared to keep on pinching yourself. Amanruya lies in Mandalya Bay, on the south-eastern coast of Turkey. It’s surrounded by abundant natural beauty, including forests of olive trees and hilltop sea views.The region was once home to oracles and ancient poets; walk in their footsteps from your room down to the secluded beach, where you’ll no doubt find inspiration too. For both historical sites and buzzy nightlife, Bodrum is just twenty minutes away. The exquisite terrace cottages blend in naturally with the stunning surroundings. They are all a bit different, which creates a lovely, individual ambience. 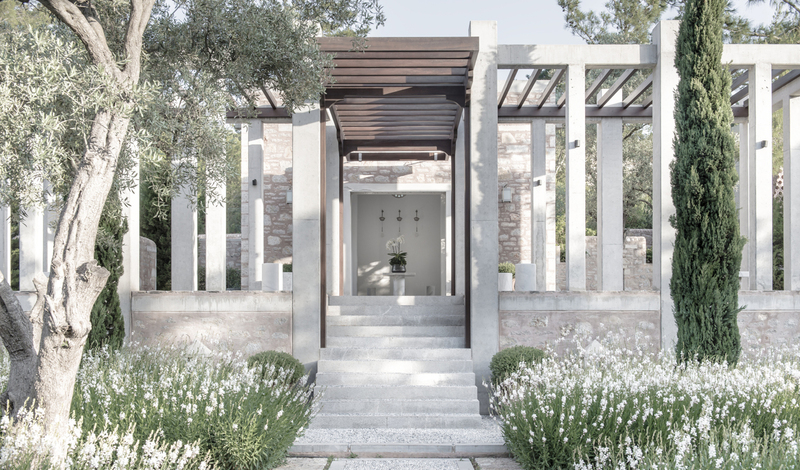 Each enjoys its own private garden, pool and pergola. As well as a four poster bed, fireplace, separate vanity units, living and working areas. 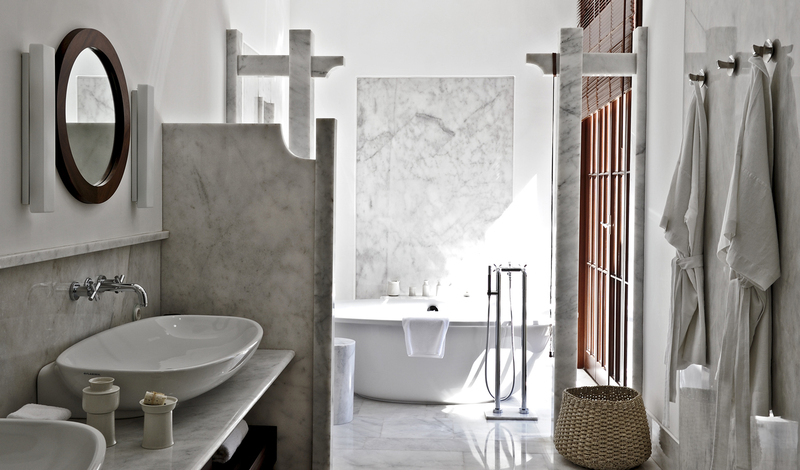 White walls and marble floors are adorned with handmade textiles, chests, vases and other typically Turkish ornaments. The seasonal menu is full of mouth-watering local seafood and the facilities are outstanding. In addition to the 50-metre swimming pool, tennis court and a three-storey library, there is also a boutique, an art gallery, two spa suites, and Amanruya’s exclusive beach club is fully equipped with water sports kit. We told you…it’s like a dream.